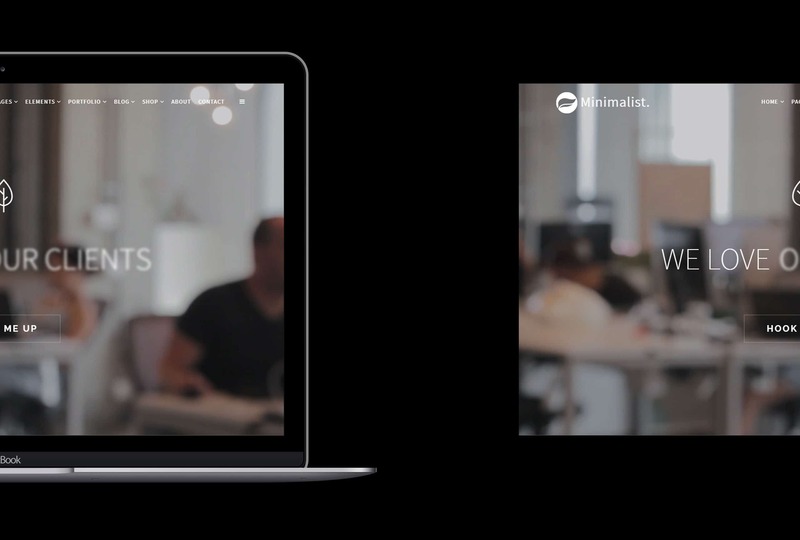 Whether you need pages with portfolios, headers, menus, striking galleries, a professional blog, stunning pages or landing-pages, it’s all included in our Minimalist WordPress Theme. Best of all, everything is mobile-ready right from the start. The next level of site builder tools is here. Drag&Drop any blocks you like with Minimalist, then upload media and text and publish your new site. It’s really easy and fast flow! To be even more unique, we have prepared for you a beautiful set of elements that you can use in your projects of any complexity in an easy way. Minimalist WordPress theme is the best Drag & Drop page builder template. 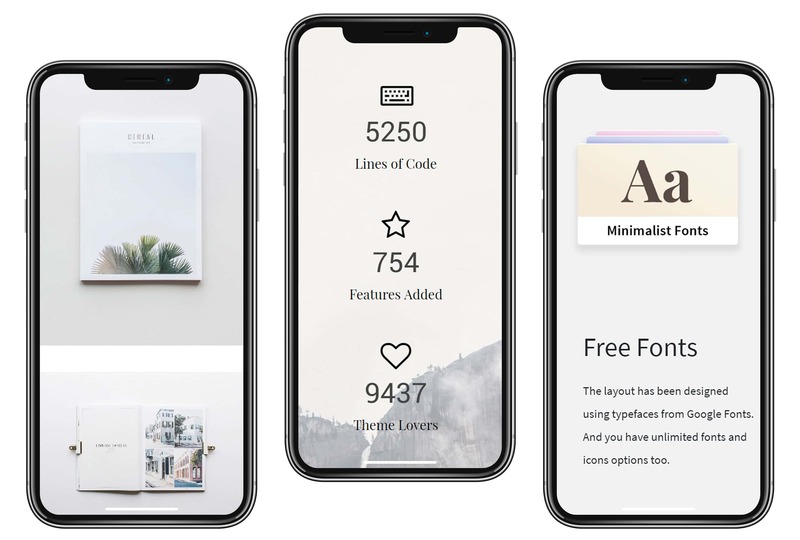 Minimalist WordPress theme gives you complete freedom over your creative process after all you don’t have to think about any technical aspects. There are no limits and absolutely no coding. You can create any kind of web publications using only one tool. Minimalist WordPress theme has tools and options that will save your time for you to focus on more important, your legacy. If you have a project, you probably have thought about making a stunning website for it. 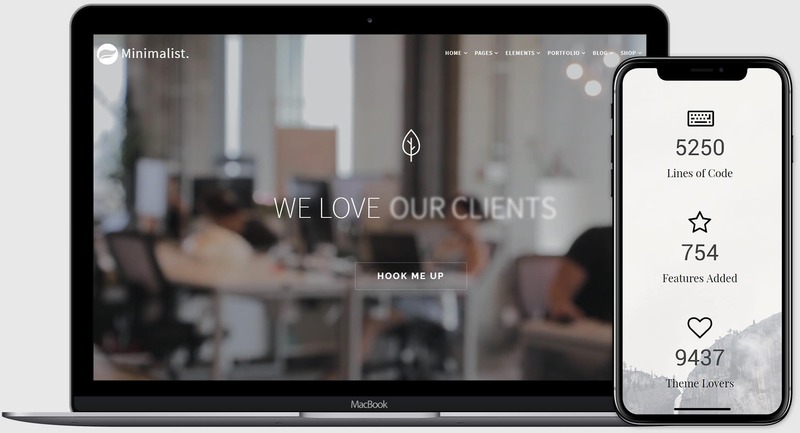 Minimalist WordPress theme is built on a blazing-fast managed framework, optimized to the exacting standards of professional WordPress designers and developers. Visualmodo, while presented elegantly, is an incredibly rich publishing platform. Here, you can find a full list of everything the Minimalist WordPress theme platform can do. Minimalist WordPress theme It’s perfect for clean websites, portfolio, photographer, photo gallery, graphic designer, product design, packaging design, web designer, logo designer, typography, WooCommerce, landing-pages or you can use to showcase any of your works. This theme also suits perfectly to corporate & business website. Favicon, minimalist logo/white and special mobile logo upload. Custom Post Types – With Minimalist WordPress Theme you have some great posts types to better show your content with our Portfolio, Team Member, Knowledge Base and gives you the freedom to build your own post type in the way you like. Search Engine Optimized – An important topic or any site is the search engine optimization. We actually have data to back it up. Minimalist was built to help your site rank. Rest assured that everything from the functional markup utilizing the latest semantic HTML5 elements, working together with the best WordPress SEO plugin compatibility. Timetable Responsive Schedule For WordPress – Is a powerful and easy-to-use schedule plugin for WordPress. It will help you to create a timetable view of your events in minutes. So, perfect for gym classes, school or kindergarten classes, medical departments, nightclubs, lesson plans, meal plans etc. In addition, It comes with Events Manager, Event Occurrences Shortcode, Timetable Shortcode Generator, and Upcoming Events Widget. In conclusion, you gain this plugin ($26 value) for free purchasing the Minimalist WordPress theme. A Real Theme for your online store/shop! – Minimalist is ready as an eCommerce platform, having built-in styles for WooCommerce plugin, which at this moment empowered ~30% of the world online stores!! but we take it to the next level!! Minimalist also has its own advanced custom style for your cart, account, and check-out WooCommerce pages to make your store look amazing and user-friendly for your customers! In conclusion, In addition, Make sure all your shop clients will love to purchase your products/services once your shop is powered by our theme store framework.